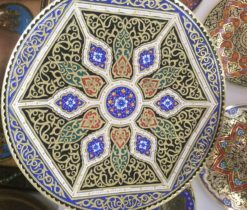 When creating oriental handmade metal products brass and copper are often used, as they give the finished product strength, durability, practicality and a special oriental style. 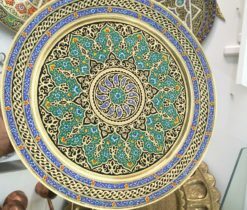 Among these products, the most famous are engraved and decorative brass trays, as well as wall and embossed trays, which you can easily purchase in Home décor handicraft items . 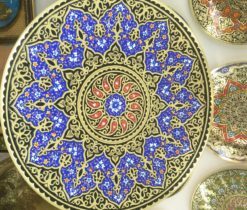 Here you will find a big assortment of the most refined and unusual brass trays, which will magically fit into your home interior. 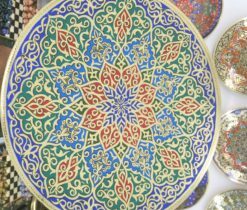 Traditions tested by the time is a classic decorative brass plate. 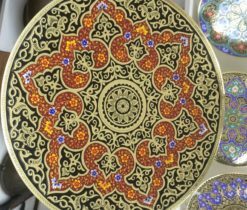 It is a solid metal sheet, which at one look inspires respect. 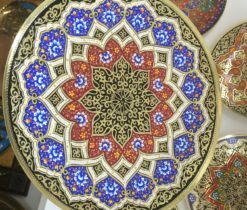 They can mainly be used as a tray for carrying a kettle and pialas or other kitchen accessories. 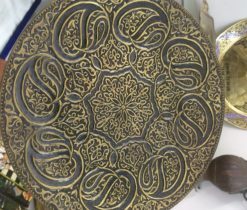 Here we can also mention engraved brass plaque, which can not only serve as kitchen utensils, but also as an excellent object for decorating rooms, countertops, restaurants and bars of oriental style. 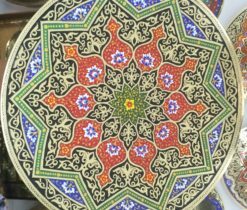 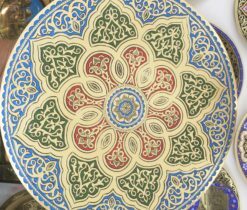 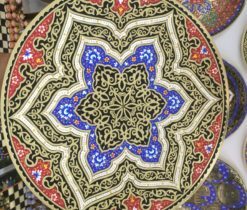 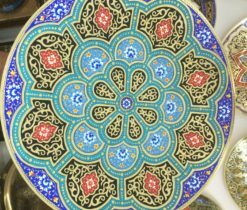 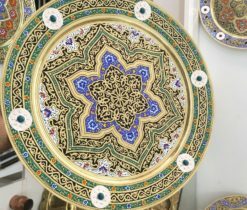 The variety of decorative trays embodies the art of the ancient east and the craftsmanship of oriental artisans who covey their deep feelings through every detail of the pattern. 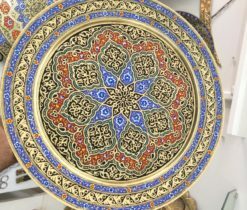 In brass wall plates you will find a completely unique combination of colors and patterns, which is not repeated on any other product of this sample. 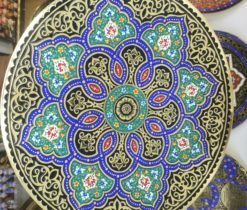 They do not weigh a lot, and it allows to fearlessly hang them on the walls of rooms and buildings. 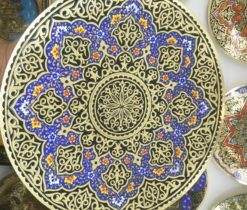 In western countries, great ancient paintings are often used as a decoration of walls, although in the east antique brass wall plates can be considered as such décor item. 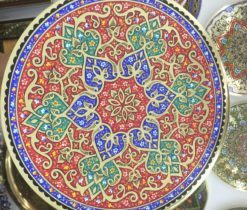 Yes, in this respect the east does not lag behind and complements the assortment of oriental trays with great masterpieces! 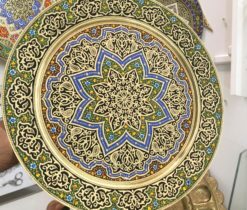 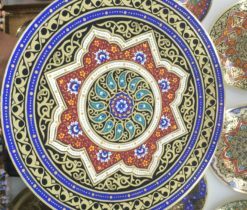 Embossed plates are distinguished by a glossy surface, on which elements of oriental patterns and drawings, and also textual contents are applied. 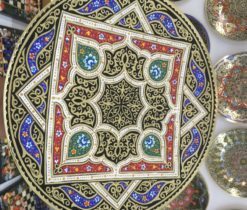 The technology of embossed engraving allows you to get a photographically exact monochrome or color image. 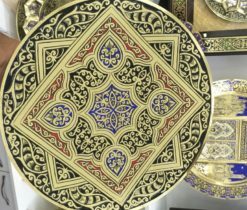 The main difference between embossed plates is the convexity of each element of the picture or text. 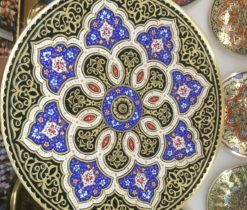 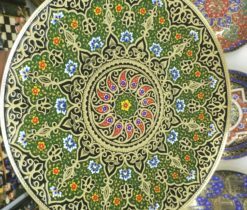 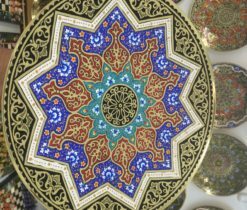 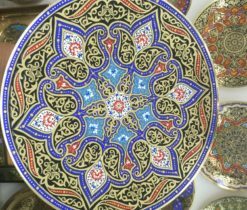 Uzbek brass plates are also made by embossing a certain pattern on the surface of brass and copper plate, coins, vases and jugs, kettles and other products.